Gaza, a documentary directed by Garry Keane and Andrew McConnell, provides a vibrant glimpse into the lives of the residents who live in the Gaza Strip. 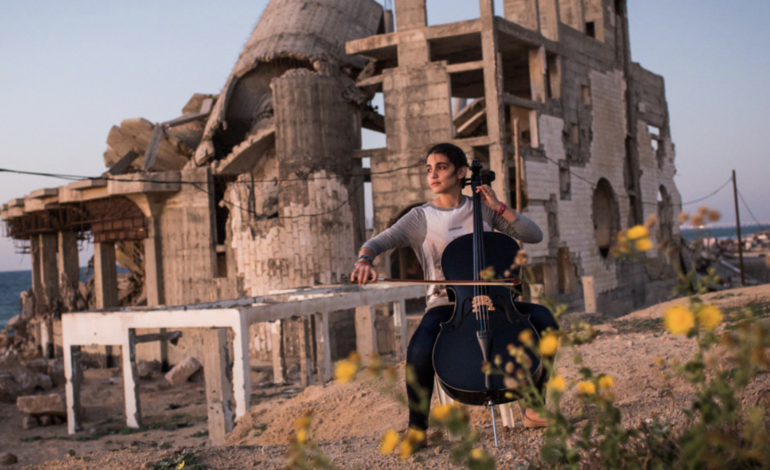 While the trailer includes scenes of war and violence, the film will aim to cover more of the life beyond the conflict; this specific portrayal of Gaza seeks to humanize the people living there. Lively scenes of dancing, singing, family gatherings, and camaraderie provide a contrast to the rubble-filled streets and bombardment that the people face. A male voice in the trailer is heard saying, “We want to live. That’s what people need to know. We simply want to live.” This statement is reflected through how the directors laid out their plot; they weave the narratives of two central characters, a man who lives in a refugee camp with the largest family in Gaza and a woman who lives in a luxurious apartment with her family, with other people’s stories such as that of a taxi driver, a fashion designer, and a theatre director. The documentary, which was filmed over a period of four years from 2014 to 2018, is set to play in the World Cinema Documentary Competition at the 2019 Sundance Film Festival. Watch the trailer below, courtesy of The Hollywood Reporter.